BEIJING China's auto sales grew at their fastest rate in eight months in September as Japanese brands rebounded from a slump sparked by political tensions with Tokyo. Sales of passenger vehicles rose 21.1 percent to 1.6 million vehicles, up from August's 10 percent growth, an industry group, the China Association of Auto Manufacturers, said Friday. China is the world's biggest auto market by number of vehicles sold and sales growth still is stronger than in Western markets despite decelerating over the past year. Japanese automakers had especially strong growth in September following a year-long slump as tensions between Beijing and Tokyo over a territorial dispute kept buyers away from showrooms. Nissan Motor Co.'s monthly sales soared 83.4 percent to 117,100 vehicles, accelerating from 2 percent growth for the first nine months of the year. Toyota Motor Corp. said sales jumped 63.5 percent over the same month last year after declining by 0.5 percent in January-September. 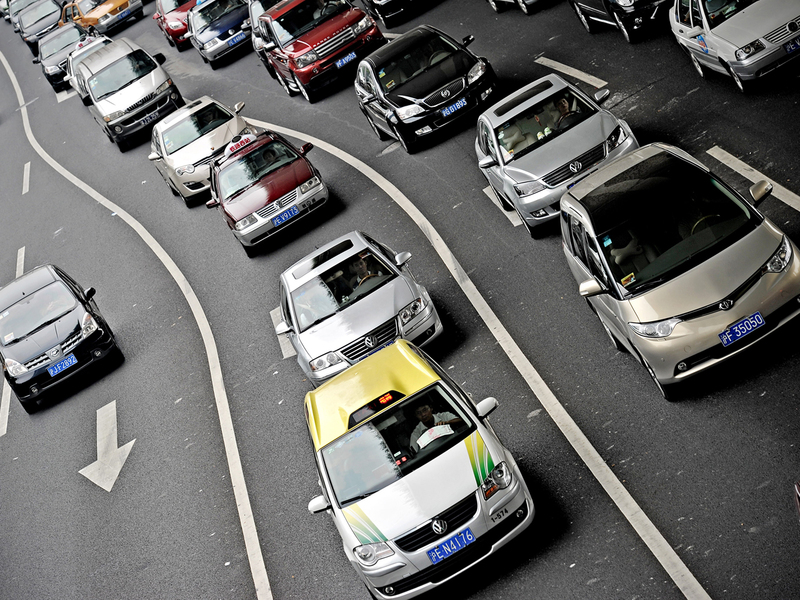 Total Chinese auto sales, including trucks and buses, rose 19.7 percent to 1.9 million vehicles, according to CAAM. Passenger vehicle sales for the first nine months totaled 12.8 million vehicles, up 7.5 percent from the same period last year. Total vehicle sales rose 12.7 percent to 15.8 million in the first three quarters. September traditionally is a strong month for Chinese auto sales ahead of the weeklong National Day holiday that starts Oct. 1. The spat between Beijing and Tokyo over uninhabited islands in the East China Sea caused sales of Japanese brands to tumble by 40 percent last September. China's domestic automakers, struggling to hold market share against global rivals, saw September sales rise just 1.8 percent over last year to 276,200 vehicles. General Motors Co. (GM) said sales of GM brand vehicles by the company and its local partners rose 13.7 percent over a year earlier to a new September record of 277,647 vehicles. Ford Motor Co. (F) said its sales soared 61 percent to 96,111 vehicles. Germany's BMW AG said sales, including by its Mini unit, rose 20.8 percent to 35,408 vehicles.